A MAN HAS been arrested in connection to the murder of a 43-year-old mother in Dundalk in 2005. Irene White was murdered at her home – known as Ice House – on 6 April that year. She was found with multiple stab wounds by her elderly mother. 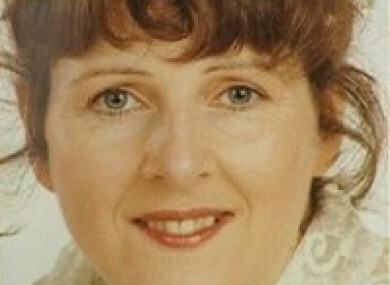 This morning, gardaí arrested a man in his 30s in the Co Monaghan area in connection with an ongoing investigation into the murder of Irene White. He is currently detained at Dundalk Garda Station under the provisions of Section 4 of the Criminal Justice Act, 1984. On the day of her murder, White left her home at around 8.50am and dropped her three children off to school for 9am. She then returned to her home where she began washing up after breakfast. Her mother, who lived at the back of the property, called to the house at 12.30pm where she found her daughter lying dead in the kitchen. A Crimecall special into the murder was aired in November of last year. Email “Man arrested in connection to murder of Irene White in 2005”. Feedback on “Man arrested in connection to murder of Irene White in 2005”.